The State Capitol Museum provides an opportunity to tour this magnificent restoration, and to see how laws are made. Offers guided tours, exhibit rooms and films to make your visit complete. Open 9am—5pm. Monday thru Sunday. 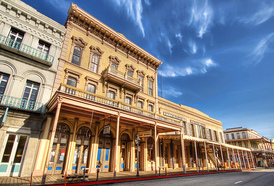 Art for all ages can be found in this spectacular restored Victorian building filled with early California paintings. 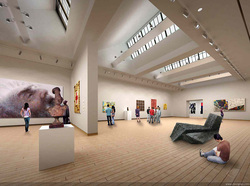 The Crocker Art Museum is the oldest public art museum in the West. Hours Open: Tuesday Sunday 10am—5pm, Thursday 10am—9pm. Closed: Mondays, Thanksgiving, Christmas and New Year's Day. At Sutter's Fort State Historic Park, self-guided tours with radio-wands explain the exhibit rooms, which include carpenter & blacksmith shops, a bakery, a prison, a dining room and living quarters as well as special exhibits, museum space and a visitor orientation room. Open 10am—5pm daily. Except Thanksgiving, Christmas, and New Years Day. 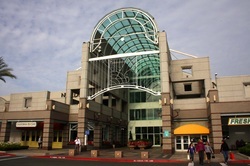 Enjoy shopping at Arden Fair featuring 165 shops or shop at the Downtown Plaza. For more information, see: Arden Fair or Premium Outlets. Open Monday thru Saturday 10am—9pm, Sunday 11am—7pm. 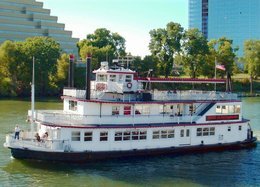 Take a cruise on this riverboat, Spirit Of Sacramento, and enjoy its saloon, dining room and open-air dance floor. The wide-windowed saloon provides a scenic view of a variety of river vistas. The "Captain's Cruises" are in the afternoon and are two-hour river jaunts which include brunch and champagne. 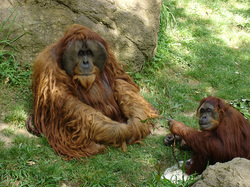 The Sacramento Zoo exhibits 400 different animals on 14 acres, the variety of animals includes: mammals, birds, reptiles, amphibians and fish. Ride the mini train into Fairytale Town and explore what it has to offer. Great for children and families. Open Daily from 9am—4pm. The California State Railroad Museum is the largest and finest interpretive museum of its kind in North America, displaying 21 restored locomotives & cars and 46 exhibits. Open 10am—5pm every day except select holidays. 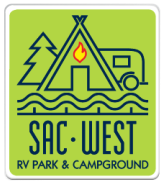 At Historic Old Town Sacramento, attractions include the Visitor Center, Riverboat Delta King Hotel, Riverboat Cruises, Pony Express Monument, Old Sacramento Schoolhouse, Horse-Drawn Carriages and Old Sacramento Market Site. Old Town is located in downtown Sacramento. Take I-5 to Downtown then take J street Exit, and follow the signs to Old Town. 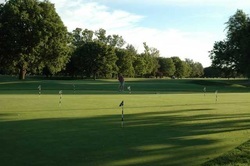 Enjoy golfing on Bing Maloney Golf Course . It is a 24-hole championship course. Be sure to check out there cafe Maloney's Grille. Lessons are also offered, give them a call to book your tee time. Excursion Train (April thru December). 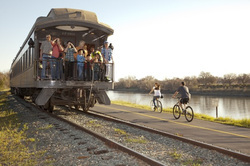 Visit River Train Rides online for information. Offers 3 hour train rides, with food and entertainment. Rides include murder mysteries, sunset dinners, western train robberies and more. Raging Waters Sacramento features more than 25 exhilarating water attractions, breath-taking slides, crystal clear pools and fun-filled activities for children & adults. Located at Cal Expo off of Capital City Freeway at Exposition Blvd. 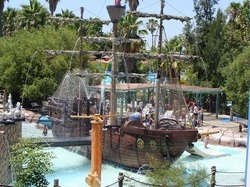 Raging Waters Sacramento is the perfect destination for families of all ages! Discovery Park is a 160 acre park that is located at the center of Sacramento, where the American and Sacramento rivers meet. 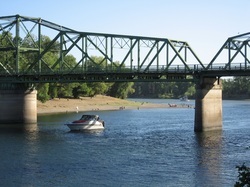 The boat launch allows boaters access to both the American and Sacramento rivers. Has bike trials, reservable picnic areas and a playground. The park is open year round from sunrise to sunset. Parking fees are collected 365 days a year.